How to get a medical marijuana card online in Oakland? We can hook you up with Medical Marijuana doctor coupons, deals, vouchers, and great low price offers for first-time Medical Marijuana evaluations or renewals in Oakland. MMJ DOCTOR ONLINE automated processes with a human touch make it possible for us to offer the most competitive price in the business and provide you with the best 420 deals. In this article – we aim to inform every Pot smoking Oaklander about the most important issues relating to Marijuana in O -Town. 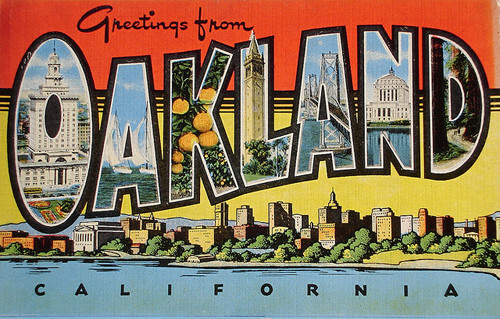 With a population of about 450,000, Oakland is now the eighth-largest city in Cali. The first settlers were attracted to the area’s fertile soils. Bump City grew into an agricultural hub. Oakland was incorporated in 1852. A second boom -industrialization – hit big-time at the turn of the last century. Oaktown became an important shipbuilder auto manufacturer, hence the moniker, Detroit of the West. Oakland City expects to grant 8 new permits yearly, as well as introduce a permitting scheme that allows other Marijuana business involved in production, cultivation, manufacture, and transport.
! Council unanimously voted to pass the historic “Equity Permit Program,” which bucks the Federal trend in legal Weed policy. Normally, convicted drug felons are barred from entering the legal Cannabis trade. Instead, Oakland will reward them. ! Disclaimer: Before taking action, readers should refer to the city and county websites, or the original source to verify the ultimate accuracy of any information here. HOW & WHERE CAN I BUY MEDICAL CANNABIS LEGALLY IN OAKLAND? To purchase Marijuana from any licensed Marijuana Dispensary or Club in Oakland, you’ll need a Doctor’s Medical Marijuana Recommendation and/or MMJ-ID. To get a MMJ ID Card, Evaluation or Grower’s permit, click here. The process is 100% online, and is quicker and much cheaper than a visit to the clinic – and patients don’t pay until a licensed physician has Recommended Medical Marijuana to treat your conditions and symptoms.